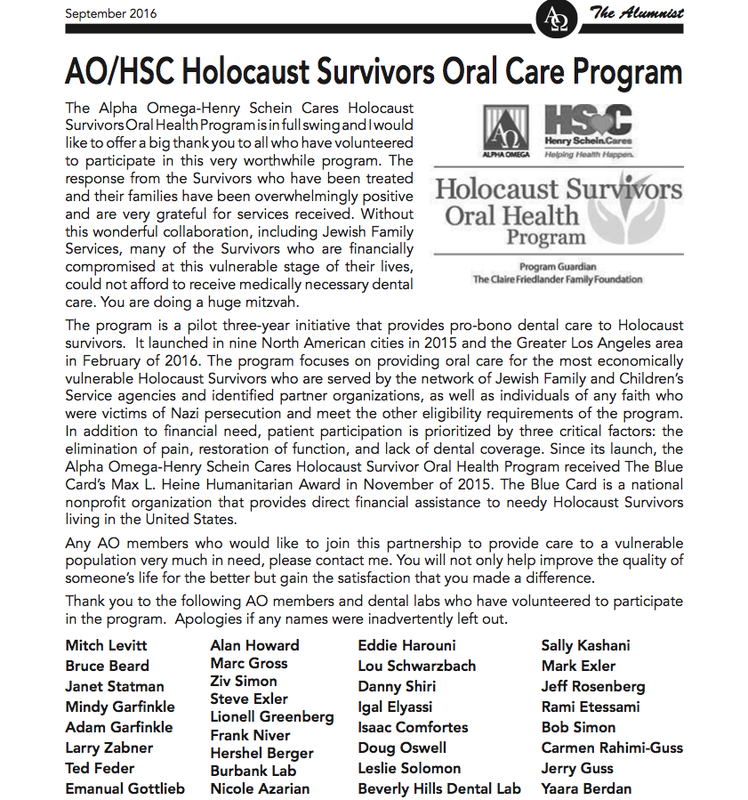 I’m very excited to have recently had the opportunity to help economically challenged Holocaust survivors through the AO/HSC Holocaust Survivors Oral Care Program! It was one of the most humbling opportunities I’ve had as a dentist. The program is a three-year initiative that provides pro-bono dental care to Holocaust survivors that are eligible and meet the requirements. Many of these survivors have very interesting stories that make you appreciate everything you’ve been given and/or have worked hard for. Like I said, it was very humbling. It’s such a wonderful feeling to know that you are truly making a lasting impact on someone’s life – a positive impact. And I wouldn’t trade that opportunity for anything else. As a dentist in Hollywood, I always want to best for my patients in terms of aesthetics, function and health. I absolutely look forward to more of these opportunities & experiences! This entry was posted in Charity and tagged AO/HSC Holocaust Survivors Oral Care Program, charity dental work, sally kashani dds. Bookmark the permalink.